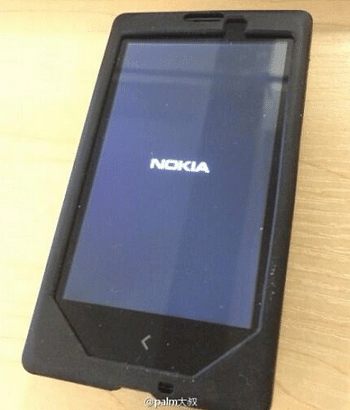 May be we are going to see Nokia’s first Android phone very soon as some more images got tweeted more image of Normandy, showing the UI and now its almost confirmed that Nokia may make a attempt to launch it at the next biggest Tech event, Mobile World Congress, Barcelona. Earlier reports indicated that it will have a Qualcomm Snapdragon processor and will run Android 4.4 Kitkat. 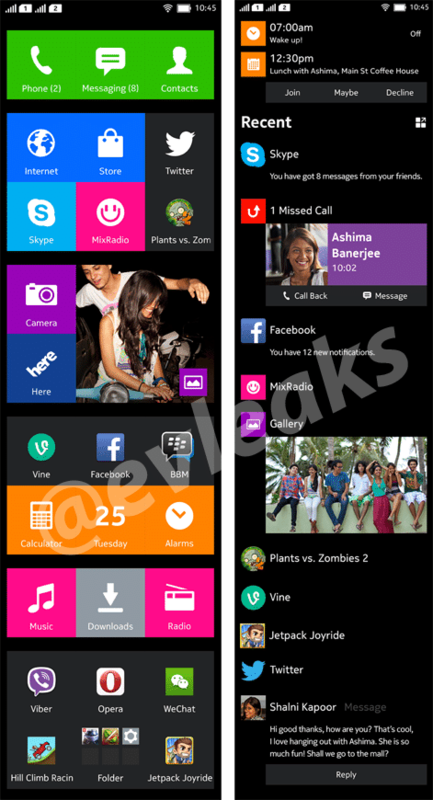 Though it is just a prototype and Nokia will not provide default Google apps like the Play Store or Play Books, just like Amazon Kindle. 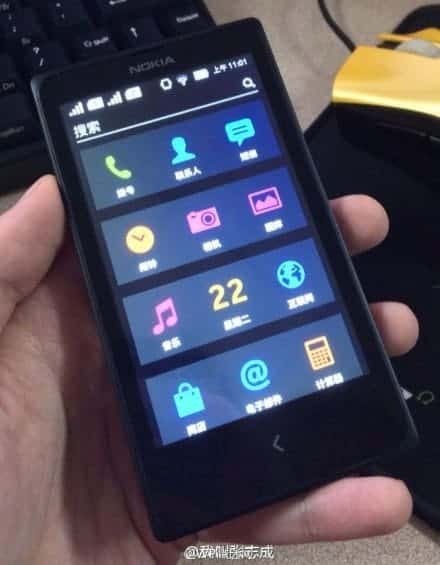 Though the UI does not look very good, but we are hoping that it will be better and some equations in the smartphone market will also change a lot. Now if Microsoft does not point any finger at this project we are very much hopeful about a glimpse of this new smartphone from Nokia at the MWC to be held in this February. Next articleGoogle Site Reliability Engineering team heads to Reddit for a Q&A session.